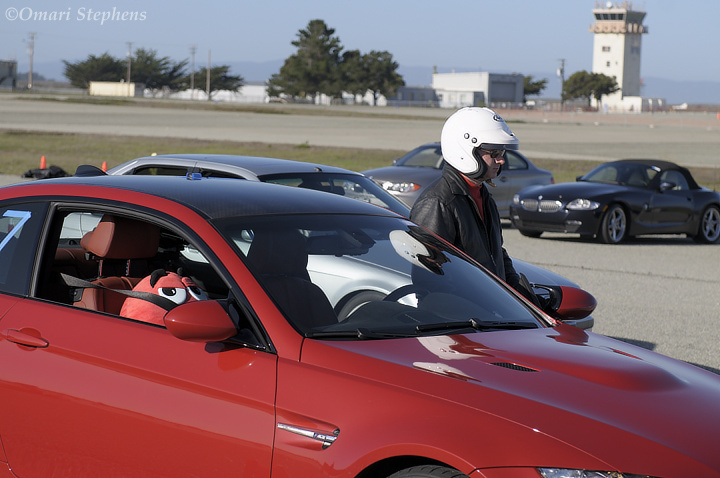 A mouthful of acronyms accompanied the final Golden Gate Chapter BMW Car Club of America autocross event of the year, the Top Driver Shootout. As it was essentially the crowning event of the GGC autocross season, the difference in the drivers' demeanors was readily apparent. Some drivers had minutes-long sessions spent studying the course map, trying to find where they had left a few elusive tenths of seconds on the course. In addition, the mental preparation for driving became more visible. 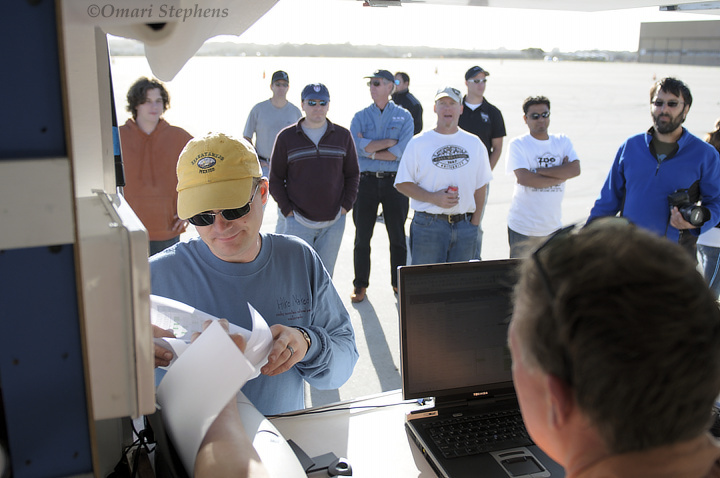 Above, Jason Sams focuses before getting in his car to start one of his timed afternoon runs. 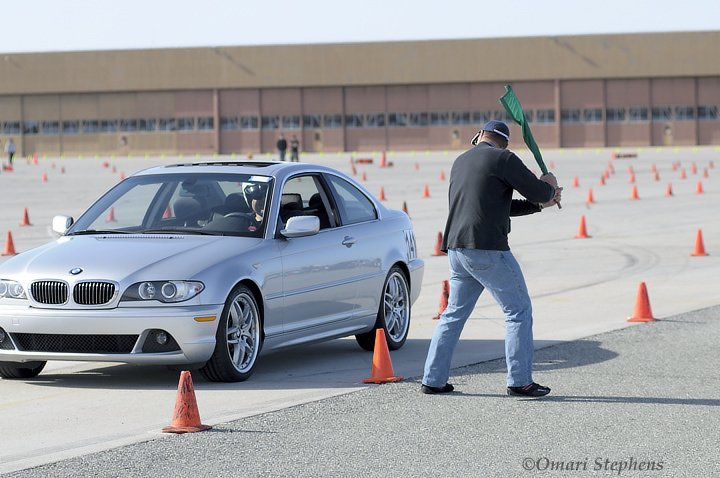 When there was downtime, though, the typical, more jovial autocross attitude came to light. At one point, while the start was on hold because of a timer malfunction, the starter had some fun with alternate flag-waving techniques. A 180° hairpin right-hander led into the course's long, wide straight. The course layout created a deceiving feeling of open space back here; I'm sure some of the drivers would have liked even more space between the cones of the curving right-hand slalom at the end of the straight. And through the finish. The yellow car in the background is on the back straight as the blue Mini Cooper rushes to trip the finish line timer. 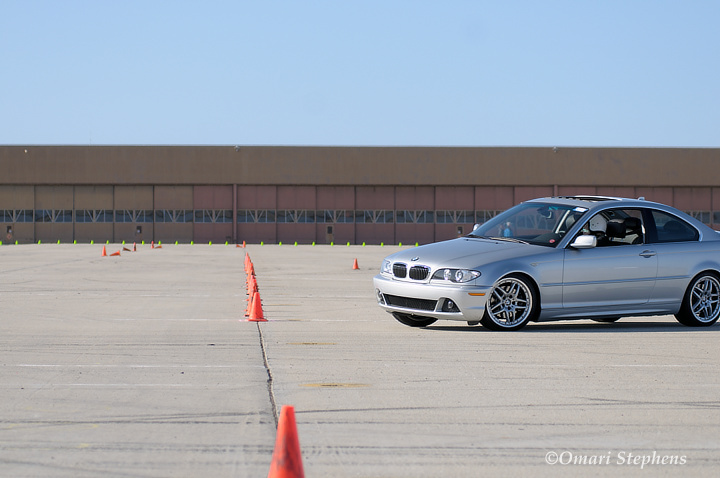 Unlike other autocross events, the Top Driver Shootout ends with the crowning of a top driver. Here, autocross master of ceremonies Kris Linquist looks over the tabulated results with a smirk before announcing the podium finishers. 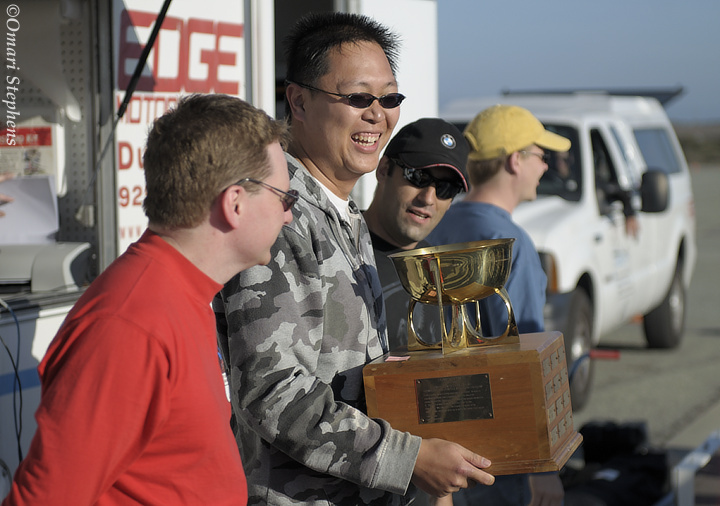 At the end of the day, Eric Lam placed first and won custody of the Franz Fechner Cup for the coming year — much like the Stanley Cup in hockey, the Fechner Cup is passed from winner to winner after each year's Top Driver Shootout. Jason Sams (left) placed second, with an adjusted time 0.343 seconds behind Lam. Michael Do Couto (right) placed third, 0.023 seconds behind Sams. 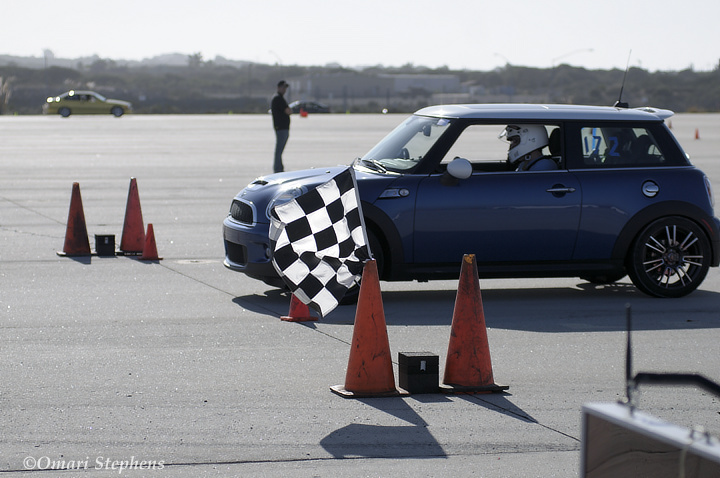 Rounding out the top five were Alexei Sakhartchouk, driving the blue Mini Cooper from above, and Brian Cheung. "My bike is like a high maintenance girlfriend. Everything I buy for her needs to be 'special' and there's always something wrong that I need to fix."